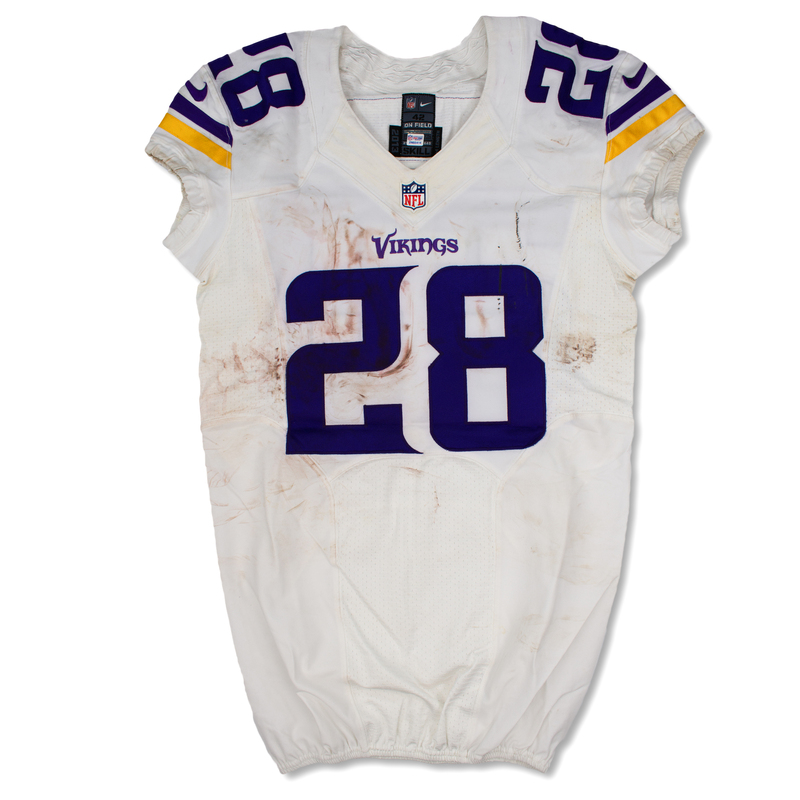 This photo matched Adrian Peterson Minnesota Vikings away jersey was worn on December 8, 2013 vs the Baltimore Ravens. This 2013 nike on field garment is tagged Size 42 with +4" length with the style "SKILL" which are all featured on the tagging inside the rear collar of the jersey. All numbers, logos, patches and nameplate appear to be proper and accurate. The jersey is unwashed and shows lot of ball marks, soiling and face mask transfers. The jersey is accompanied by a PSA/NFL Sticker in the collar from NFL Auctions and is accompanied by a Real Game Used Photo Match LOA. 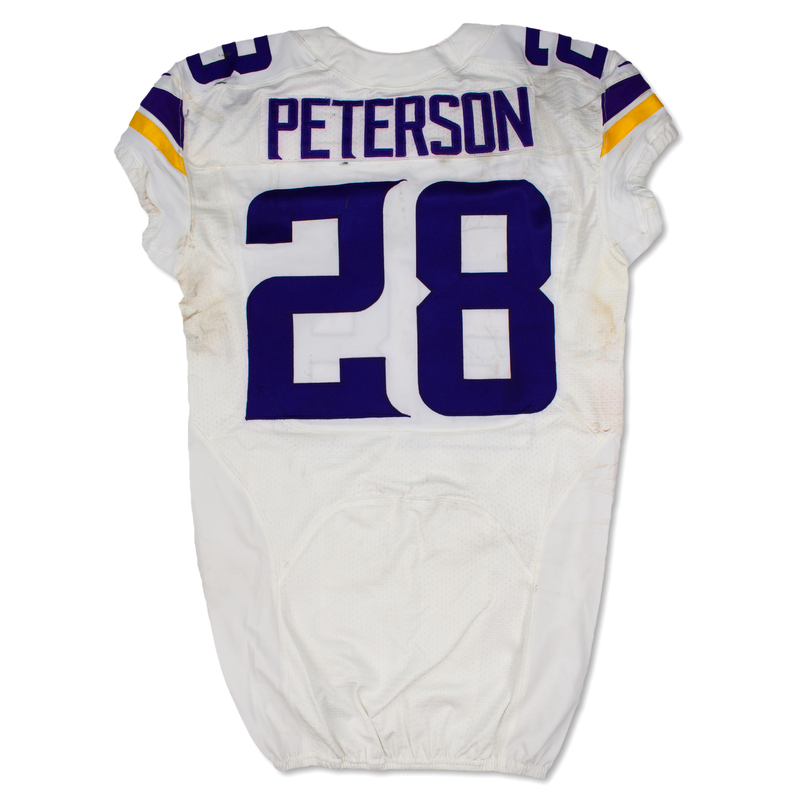 This is a rare example of a newer style Vikings nike Adrian Peterson game worn jersey which are more difficult to come by. 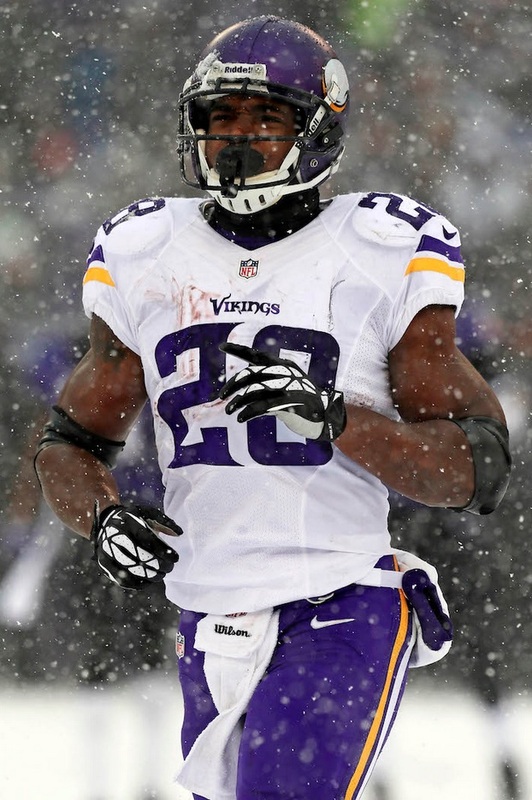 Adrian Peterson broke the 2,000 yard barrier in 2012 and claimed the coveted NFL MVP Award during that season. Adrian Peterson has been the NFL's premier running back over the past decade and will retire as one of the best rushers in the history of the sport.